When I love a product, I buy it over and over again! 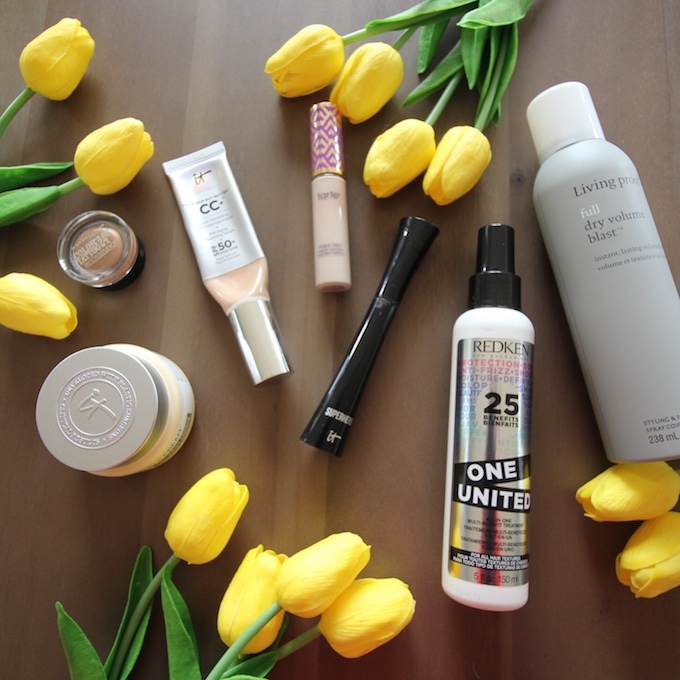 Today, I wanted to share some of my favorite beauty products that I repurchase all the time! They are so good! This stuff is definitely my favorite concealer. It goes on well and each bottle lasts me 4-6 months! I wear the color fair. It is on the pricer side, but does the job. I bought this for the first time about a year ago! Oh My Goodness! This stuff is amazing and works wonders! 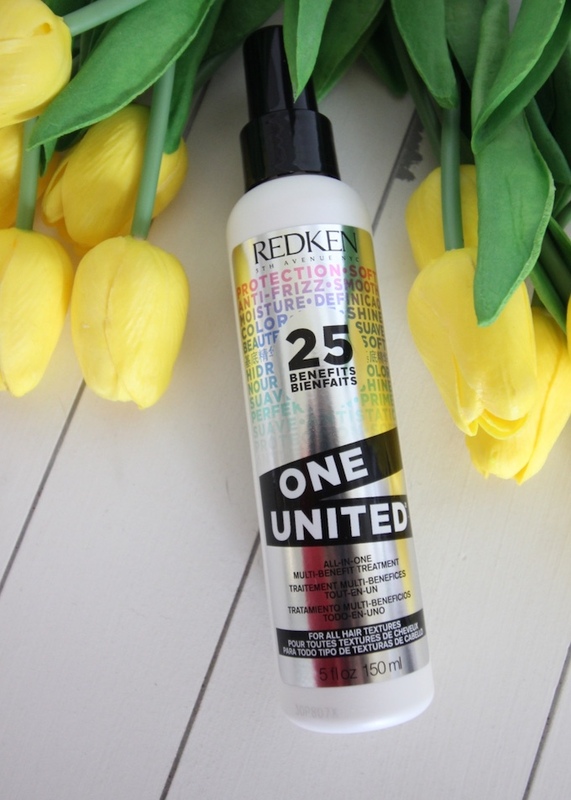 It gives me tons of volume and adds the right amount of texture to my hair! I use this right after I curl my hair! This has been my go-to foundations for the last several years! I love that it has an SPF. Plus, it does not irritate my skin. I have lots of pink undertones and this foundation does the trick. One tube lasts me about three months. I have not tried their new Bye Bye Foundation Full Coverage Moisturizer with SPF 50+. I plan to purchase it when I run out of my current foundation. One area that always took the backseat was moisturizers. The past few years, I have been better about taking care of my skin. I have super sensitive skin. My skin can get irritated quickly and this cream keeps the redness down while also keeping it moisturized. I use this after I wash my face each night. 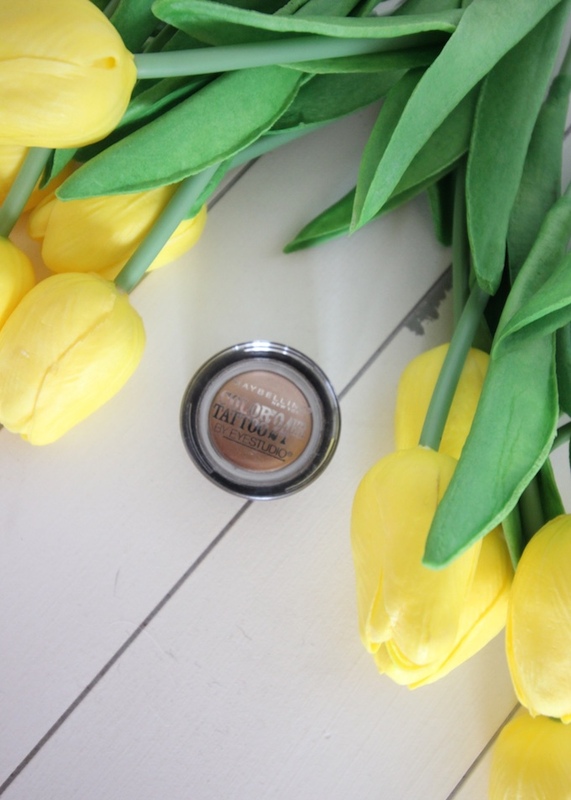 If you want an eye shadow that lasts all day, then this is it! For just $7.00, this stuff last all day! I have been using this for several years. 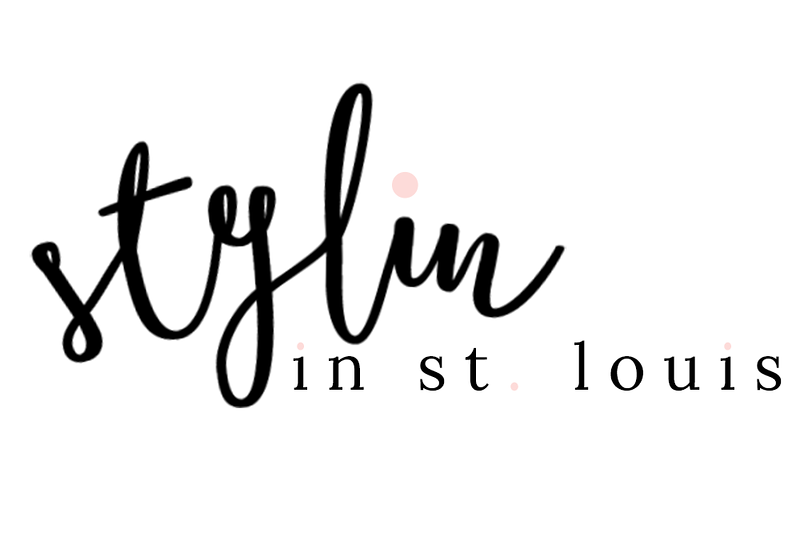 It goes on smooth and it is super affordable! I wear the color Bad to the Bronze. My hairdresser introduced me to this product! I have used it for about and year and it has quickly become a favorite. It moistures my hair and is perfect to use after the shower. It is great protectant against damage! It smells so good! 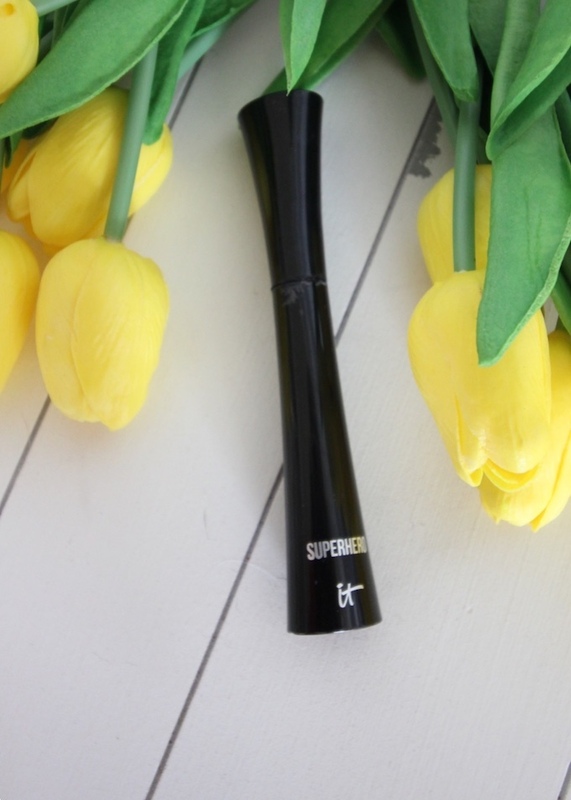 The has to be my favorite mascara of all time. It adds tons of volume and it makes my eye lashes look nice and long! 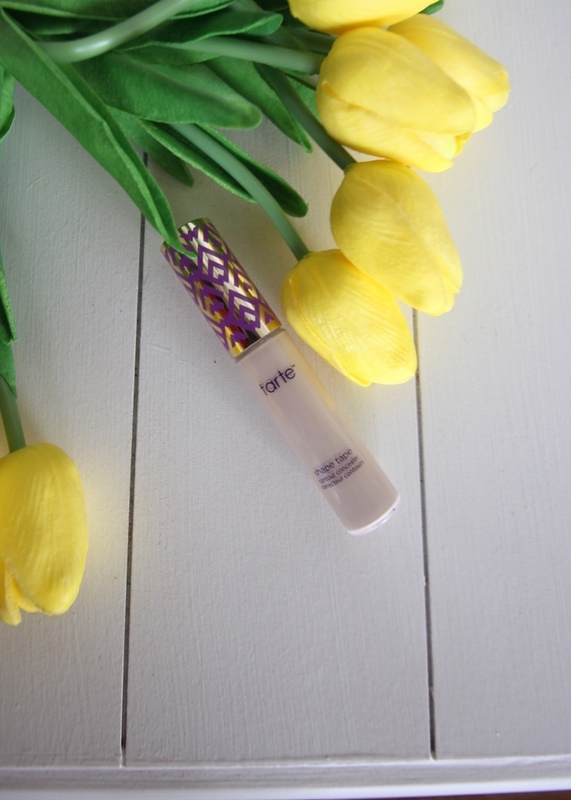 The only con is that the bottle will build up mascara along the sides. Living Proof is sooo good! 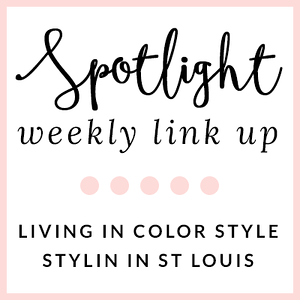 Love seeing others beauty product favorites! Thanks for sharing these!! 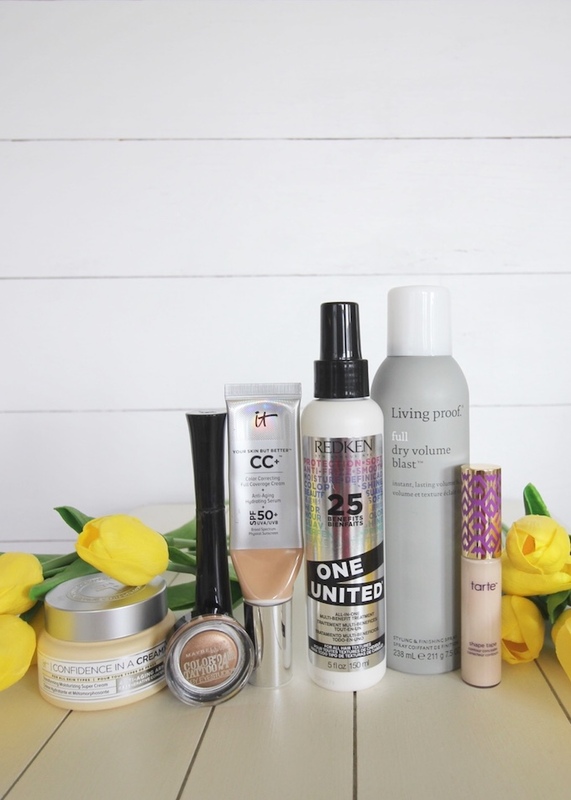 I just pinned the concealer and the full dry volume blast to try soon!! These all sound like great products! 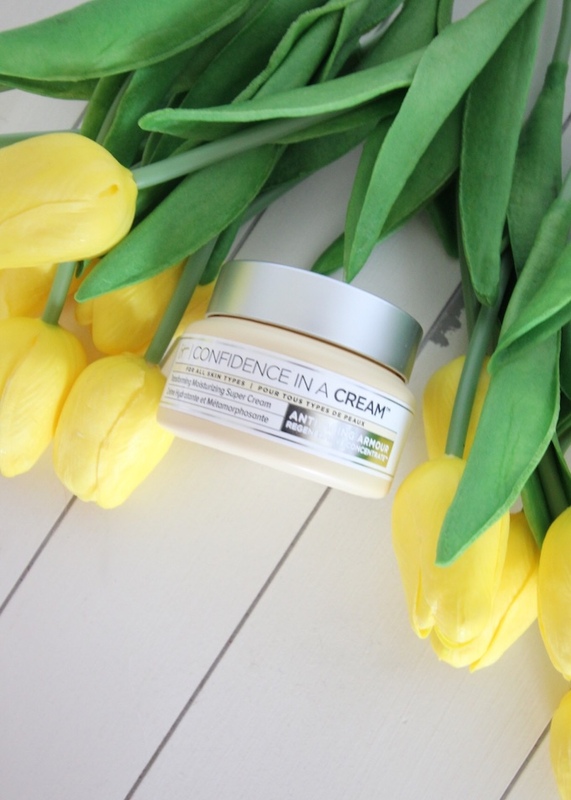 I may need to try that It CC + Cream! Hey Thanks for the heads up on these products. 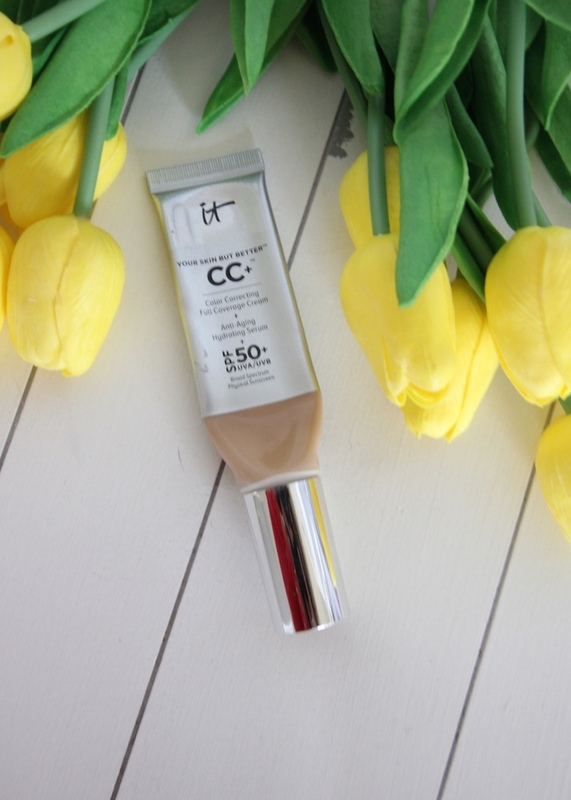 I am all bout CC Cream now much less drying then a foundation but more coverage then a tinted moisturizer. I really need that volume blast---thanks for the recommendation!! 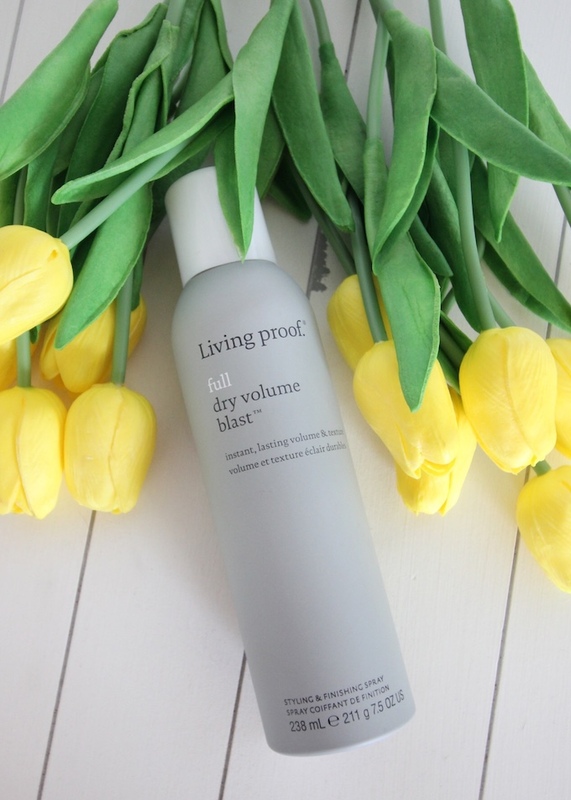 I've heard so many good things about the living proof dry shampoo, I'll have to give it a try! Lovely products you have here dear. I'd love to try Living Proof Full Dry Volume Blast myself. Thanks for the recommendation!